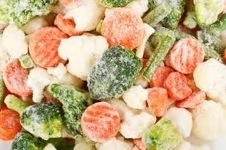 Learning what you can freeze and can’t freeze is one of the hardest lessons for beginning freezer cooks. There’s nothing more upsetting than spending your time and money to make a big batch of something for the freezer just to throw it away when it turns out bad. But certain items simply can’t freeze and are bound to give you bad results. Learn what you can freeze and can’t and you’re on your way to saving tons of time and money in the kitchen while getting healthy homemade meals on the table. That’s what freezer cooking is about. 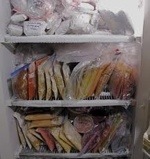 Meat, poultry and fish all can be frozen with success. Raw meat is preferable for long storage because it doesn’t dry out or get freezer burn as fast as cooked meat. Potatoes freeze great and make quick side dishes, however they must be cooked before freezing to insure they don’t turn black. Salty fatty items, such as bacon, sausage, ham, hot dogs, some lunch meats and some fish do not last long in the freezer. 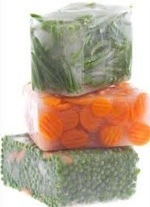 The USDA only recommends freezing these items for 1-2 months. The salt causes fat to go rancid in the freezer. Many people freeze these items longer so use your best judgment. If it looks or smells off toss it!